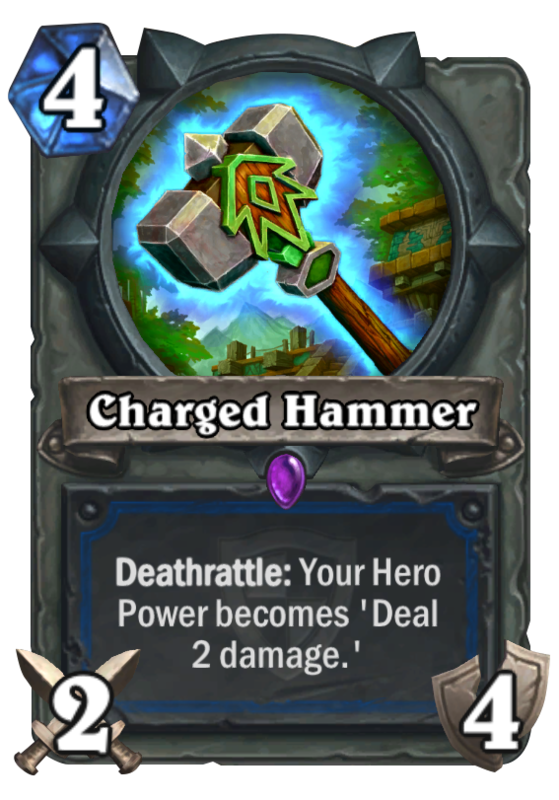 Charged Hammer is a 4 Mana Cost Epic Shaman Weapon card from the The Grand Tournament set! Your new Hero Power is called “Lightning Jolt”. Lightning Jolt costs 2 mana. If you trigger a second Charged Hammer Deathrattle after your first, your Hero Power will NOT deal 3 or more damage. 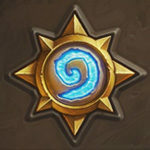 Justicar Trueheart will have no affect on the new Hero Power. Endless 2 damage is not bad. Also: can you feel the synergy with other weapons? maybe even Blingtron? Only downside: 4 Mana is prizey, can you really afford playing sth. like this at a stage, where 2 damage is not all too relevant? I agree, control shaman just became huge.